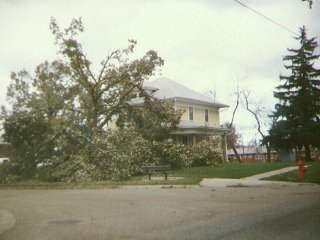 Southeastern Nebraska's October 1997 snowstorm buried the city in 14 inches of incredibly heavy, wet snow, knocking out power to thousands of homes for a week, and destroying or damaging thousands of trees. Fortunately, some parts of the city still had power. We spent our evenings that week eating out and reading in the library. When the library closed we returned to our frigid house and went to bed under piles of blankets. Candles and flashlight batteries were in short supply. 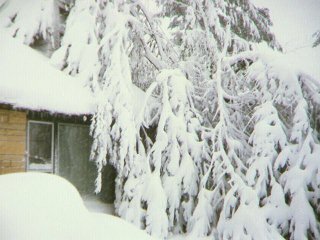 We really felt sorry for the people in the northeast and Canada during their terrible ice storm. They had it much worse than we did, as it lasted longer and was much colder.